Manchester United know that a third successive home defeat against Shakhtar Donetsk will leave them staring right down the barrel of some of Europe's big guns. 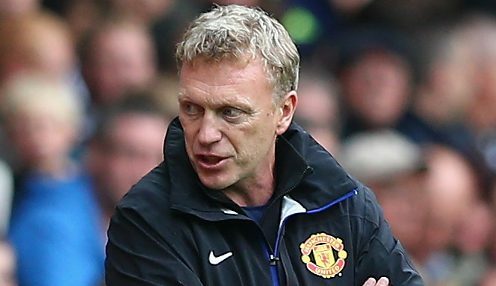 David Moyes' team are desperate to secure the point they need at Old Trafford on Tuesday to ensure they finish as winners of Group A. But the Ukrainian outfit can also secure top-billing, and the all-important seeding for the next stage of the competition, by twisting the knife in even further on the Red Devils, who are coming off back-to-back Premier League home defeats to Everton and Newcastle. Those results have left United at 1/1 to win the Premier League title outright while they are available at 1/1 to clinch the Champions League this season. The big job was to make sure we qualified from the group, and that part we have done. Moyes has been at pains to get through to his players that the likes of Real Madrid and Paris Saint Germain are already lying in wait for teams that finish second in their respective groups. The United boss insists: "The big job was to make sure we qualified from the group, and that part we have done, and hopefully we can finish off the group unbeaten and if we do that that will see us through on top of the group." Moyes' defensive plans have suffered a late blow with Nemanja Vidic, Chris Smalling and Patrice Evra all missing Monday's training session because of knocks. United are available at 1/1 to be the first team to score on Tuesday and can be backed at 1/1 to go on and win the match 2-0.